Rabban­i collec­ted Rs27,500 for the last genera­l electi­ons held in undivi­ded India. Mian Atta Rabbani, father of Senator Mian Raza Rabbani, passed away here on Saturday after a protracted illness. He was 90. Born in Jalandhar, India, he had the singular honour of serving as first Aide-de Camp of Governor-General Quaid-e-Azam Muhammad Ali Jinnah. He was also the first pilot to be transferred from the Royal Indian Air Force to the Royal Pakistan Air Force in the newly-born state of Pakistan. Mian Atta Rabbani accompanied Quaid-e-Azam and Mohtarma Fatima Jinnah from New Delhis’ Palam Airport to Mauripur Airport, Karachi, on August 7, 1947. He served with Quaid-e-Azam approximately for six months. He was later posted as Flying Instructor at the Flying Training School of Royal Pakistan Air Force, Risalpur, to train cadets of the air force of the newly-created state. He retired from PAF as Group Captain and later wrote many books about his association with the Father of the Nation and about the ideology of Pakistan. His most important book is “I was the Quaids’ Aide-de-Camp.” Mian Atta Rabbani, fearless of a possible court martial while serving in Indian Royal Air Force, collected donations for the crucial last general elections held in undivided India and handed over a donation of Rs27,500 to the Quaid-e-Azam. His funeral prayers will be offered at Sultan Masjid in DHA after Zohr prayers on Sunday. He will be laid to rest in the Armed Forces graveyard at Chanesar Goth. President Asif Ali Zardari and Prime Minister Syed Yusuf Raza Gilani have condoled over the death of Atta Rabbani. The coordination committee of the Muttahida Qaumi Movement also expressed its grief at Atta Rabbani’s death. The party’s deputy parliamentary leader in National Assembly, MNA Haider Abbas Rizvi, called Senator Raza Rabbani and expressed condolences on behalf of party chief Altaf Hussain. Published in The Express Tribune, June 3rd, 2012. Zakia Rana Saeed, passed away on Thursday after prolonged illness. 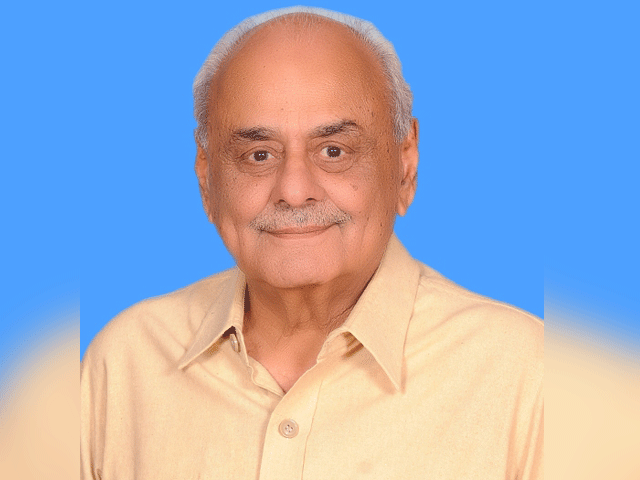 His burial will take place in New Jatoi village, Nawabshah. Lubna Agha, died at her house in Boston, Massachusetts on May 6. May Allah rest him in Peace and enters him in Paradise. My only regret is why did we only hear about him after his death. I just hope the Citizens Archive got a chance to interview him and take his thoughts before he died. Usman, CAP did interview Mr. Rabbani and had lovely stories to share about Mr. Jinnah and his devotion to him.